Get ready! 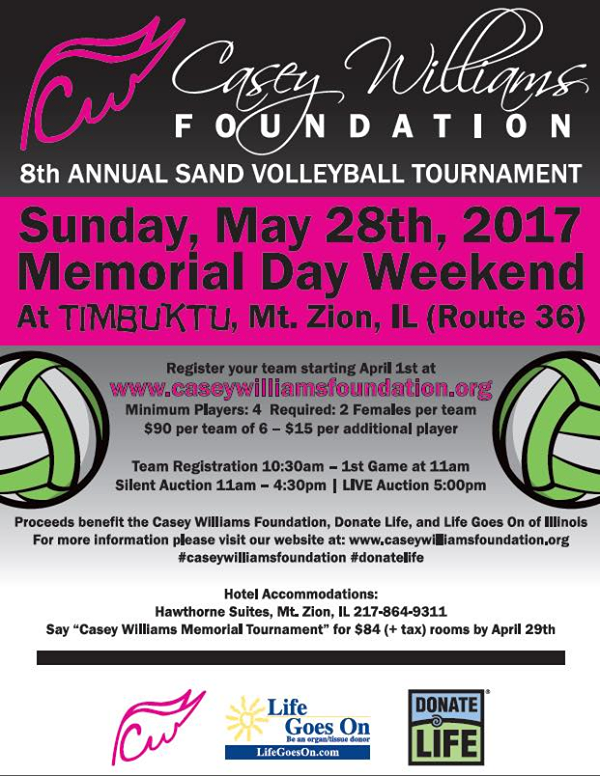 Registration for the 8th annual Casey Williams Foundation Sand Volleyball Tournament opens April 1, 2017. Click here to access the form. Only the first 32 teams will be able to play, but the day will be full of fun for all! Silent auction, live auction, food, drinks, games and a great cause— all happening Sunday, May 28th, 2017. ← Volleyball Tournament Registration Opens April 1!